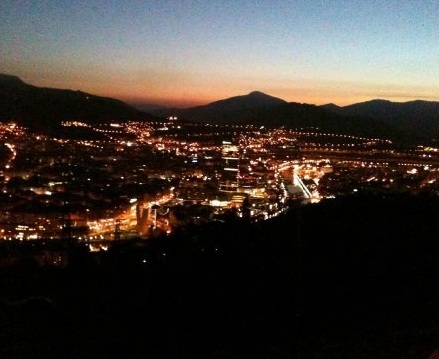 Missing IP 2012 ─ We’ll Always Have… Bilbao? I come from a big city in Pakistan but I enjoy roaming around in this small, accessible town. Don’t get me wrong: I’d be the last person to categorise Bilbao as ‘provincial’, but it is, for some amazing reason, free of the worries of life in a big town. The people are happier, the air quality’s superb, and the atmosphere is calm… And slow. Humphrey Bogart is rolling over in his grave, but I have no qualms in saying so. Bilbao, after all, has been my home away from home for well over a year now, and while it has tested me to the edges of my sanity in one way or another, I have some very good memories of the city. Not only have I made good friends, both in and outside the MA Euroculture programme, but I’ve also met some amazing people and shared wonderful memories with them. 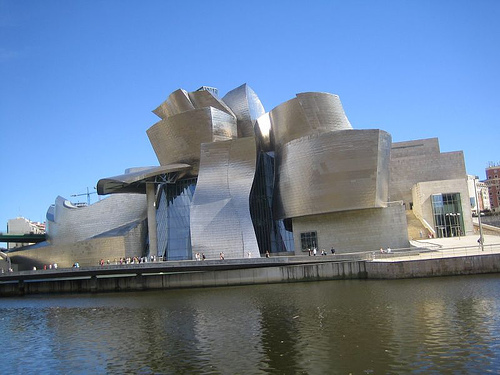 Now, if I were to ask someone to name one thing they know about Bilbao, they would, more often than not, end up mentioning Asier… no wait, sorry, the Guggenheim Museum. But let’s forget about the Guggenheim for a minute, there are plenty of brochures for that. Yes, it is bizarrely striking and there’s nothing else compared to it in the world (let alone in Bilbao); and yes, it is filled with modern masterpieces, which I don’t understand at all but if they float your boat, well… But the beauty of the city is skin deep. Take a walk by the mesmerizing riverside at night, get lost in the cool, breezy streets of the Old Town, hike your way up to the small hills surrounding the city, shop your heart out on Gran Via, or just simply relax and have some pintxos (tapas, but way more fancy) with some delectable wine in one of the eateries near Plaza Indautxu; Bilbao will keep you entertained. Add to that the lovely and hospitable Basque people, who will end up walking with you to the other side of town just to show you the way, and I think Bilbao’s got it pretty much covered. In the summer, the beaches just on the outskirts of the city are abuzz with hundreds of people who rush to beat the summer sun. The winters in Bilbao, however, are notoriously wet. Keeping umbrellas, plural, handy is a must since the wind will break the feeble, Chinese ones someday. 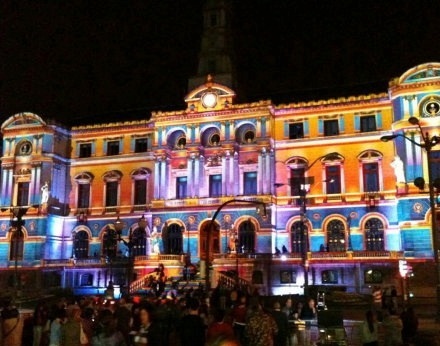 But you will need to shop at the Chinese outlets again, because Bilbao is a bit of a pricey town. The living cost is just a wee bit on the upper side, but if you keep track of sales (and discount coupons handed out at the university photocopy shop, so they say), you shall survive. I come from a big city in Pakistan (Lahore, more than 11 million residents) but I enjoy roaming around in this small, accessible town. Don’t get me wrong: I’d be the last one to categorise Bilbao as ‘provincial’, but it is, for some amazing reason, free of the worries of life in a big town. The people are happier, the air quality’s superb (this from personal experience, after living in Madrid for three months), and the atmosphere is calm… And slow… And lazy too, sometimes. But we won’t get into that. Plus, being a Pakistani here poses its own sets of challenges with the language, the culture and the people, and I have learnt much about inter-cultural communication and interaction here, even though the initial months were quite tough, at a personal level. As far as being part of MA Euroculture is concerned, I’ve enjoyed the programme a lot throughout the year and, when there have been tough and sad days, I’ve had the good fortune of some excellent company from my instructors and colleagues. I miss all the people I met during the fantastic (and exhausting) Intensive Programme in June, and I hope I will get to meet them again in their successful careers, if not at a common graduation. So, whether you’re strolling by the beautiful riverside, taking the cable car up to Artxanda for breathtaking aerial views of the city, walking around in the Old Town (Casco Viejo), or just mapping the roads in shopping areas on Gran Via, Bilbao has something to offer everyone. Bilbao, then, is a bit of an acquired taste. At a first glance, it may seem ugly, uncouth and rough around the edges, but when you’ve lived here for a while and experienced the true soul of the city, it will take your heart away. 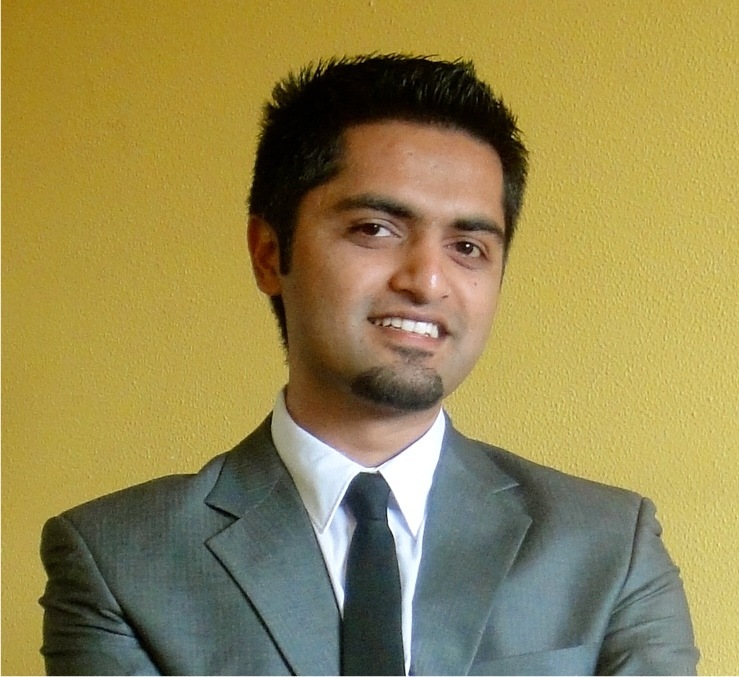 Hailing from Lahore, Pakistan, Rashid has a B.Sc. in International Relations. He is studying MA Euroculture under the cooperation window programme of the European Commission which allows him to stay at the University of Deusto, Bilbao throughout the programme . His research interests lie in post-colonialism, sub-altern studies, cultural and critical theory, and citizenship regimes in Europe. Apart from his love of writing fiction, travelling, and exotic animals, Rashid daydreams in his spare time about a job in diplomacy, and is a big Ingmar Bergman fan. For a nice contrast, come visit Barcelona which is filled with a very large quantity of Punjabi Pakistani immigrants, all from rural / provincial areas in or around Gujrat. Coming here from India, I was surprised to meet all these people from Rawalpindi and Gujrat. Many of them, at least the ones I met, speak little to no English and barely any Spanish. I’m going to Bilbao for a visit this week…It will be nice to be somewhere different 🙂 thanks for your post.